AFB Autos are a well-established car and van garage based in Aberdeen Dyce. Our friendly team will offer you fantastic advice when it comes to all your vehicle maintenance. Our extensive experience allows us to carry out a wide range of services from a bulb changed to car restoration. Our aim has always been to ensure we provide excellent service and quality repairs, all at affordable prices. We offer a 10% discount on parts (parts only) that are sourced from a brilliant supplier and all come with a standard manufacturer warranty. All makes and models are welcome at AFB Autos and we also cover light commercial vehicles up to 3.5 tonnes. Our workshop is home to 2 ramps, highly-skilled mechanics and super friendly staff. We also have a customer waiting room where you can enjoy tea, coffee and free WIFI. With bus stops nearby you can also go about your day to day activities if you prefer. 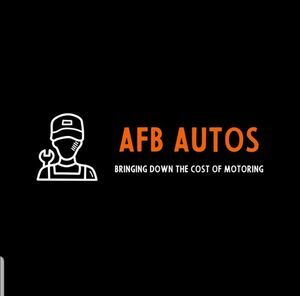 AFB Autos – Driving down your cost of motoring!